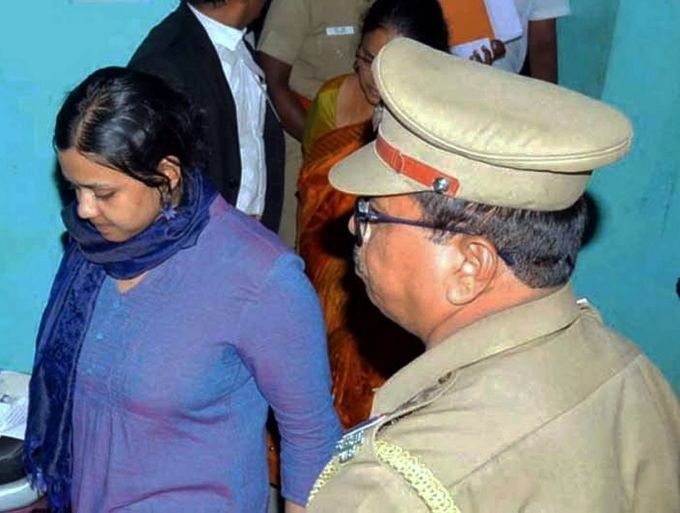 Thoothukudi: Ms. Sofia, the research scholar from Canada, comes out after getting bail, in Thoothukudi on Tuesday, Sept04, 2018. Sofia allegedly dubbed the BJP government ‘fascist’ while BJP state president Tamilisai Soundararajan was de-boarding flight. 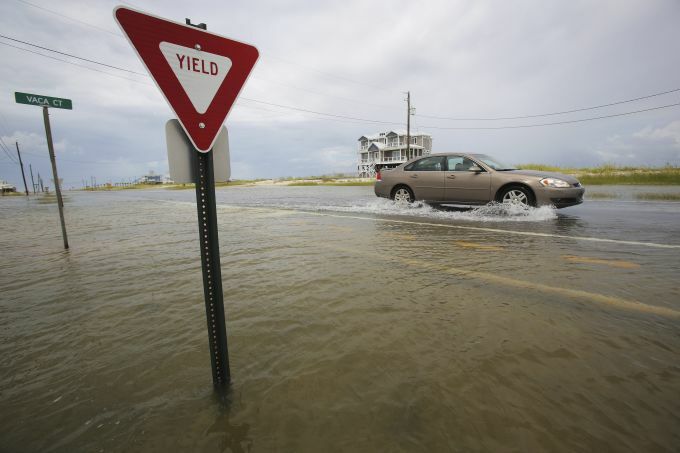 Dauphin Island : A car drives through a road as it slowly begins to flood as Tropical Storm Gordon approaches on Tuesday, Sept. 4, 2018, in Dauphin Island, Ala.
Islamabad : Pakistani lawmakers arrive to cast their votes for presidential election at parliament in Islamabad, Pakistan, Tuesday, Sept. 4, 2018. Polling started at parliament and four provincial legislatures to indirectly elect the country's new President, a process which will strengthen grip of the ruling party on power, as its nominee Arif Alvi is expected to easily become new ceremonial head of the state. 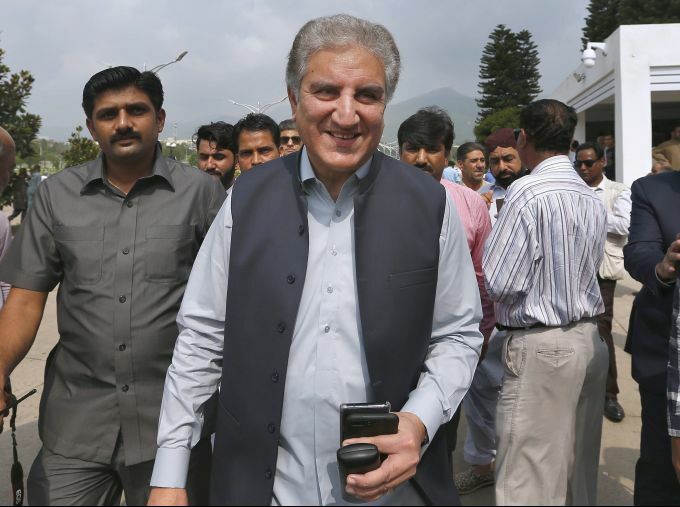 Islamabad : Pakistan's Foreign Minister Shah Mahmood Qureshi arrives to cast his vote for presidential election at parliament in Islamabad, Pakistan, Tuesday, Sept. 4, 2018. Polling started at Pakistan's parliament and four provincial legislatures to indirectly elect the country's new President, a process which will strengthen grip of the ruling party on power, as its nominee Arif Alvi is expected to easily become new ceremonial head of the state. 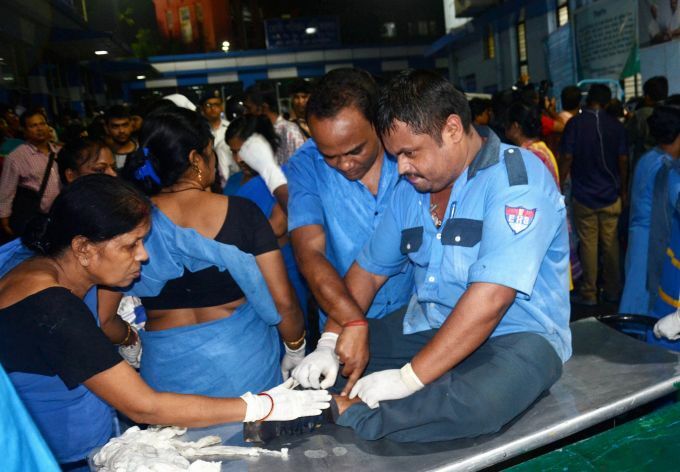 Kolkata: An injured at SSKM hospital after a section of Majerhat bridge collapsed in Kolkata, Tuesday, Sep 04, 2018. According to the police, a portion of the bridge collapsed this evening, claiming one life, trapping several people and crushing many vehicles. 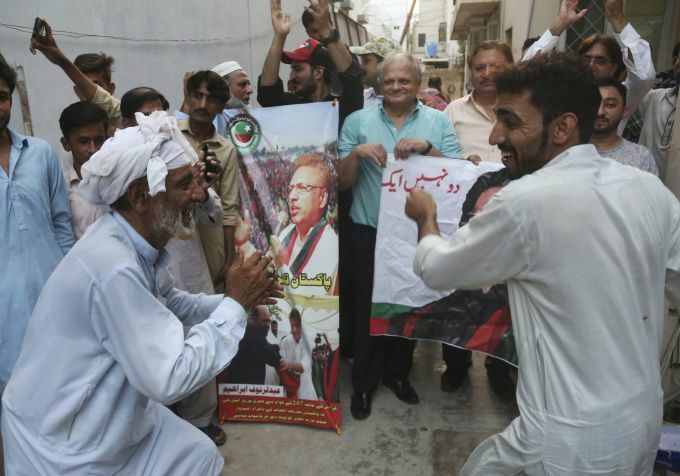 Karachi : Supporters of Tehreek-e-Insaf headed by Imran Khan, celebrate the success of their leader elected president of Pakistan, in Karachi, Pakistan, Tuesday, Sept. 4, 2018. Pakistani lawmakers elected a nominee from Khan's party to the ceremonial office of president on Tuesday, further cementing its hold on power. Arif Alvi will replace President Mamnoon Hussain, who completes his five-year term on Sept. 9. Pakistan's elections oversight body will certify the result Wednesday.